We have discussed a lot about Yogananda Paramhansa in our previous articles. We will now in this article discuss about the Self Realization Fellowship. It was founded in 1920 by the great Guru himself. It was started in California. It is located in Mount Washington. It is registered as a religious organisation. It is now headed by Sri Mrinalini Mata. She is the president as well as the religious head of the organisation. It was started by the Guru to spread the knowledge of yoga among all his followers. The teachings of Yogananda Paramhansa were very popular in the United States. The Self Realization Fellowship is the biggest proof of the fact. It even today has a lot of followers that come there every year. We in this article will discuss more about the Self Realization Fellowship. This will help you to understand the organisation and its contributions better. Many devotees from across the world often visit the Self Realization Fellowship. It has been a popular group for years. It has been enlightening people and teaching them to live a better life. Yogananda Paramhansa wanted to serve mankind even after his death. The Self Realization Fellowship has ensured that this dream and vision of his continue. There are many things that can be discussed about the Self Realization Fellowship. We perhaps cannot discuss them all in this one article. We will basically try to cover the teachings and the programs of the Self Realization Fellowship. This will help you to understand how best you can benefit from the programs that the organisation has to offer. The most popular yoga that Self Realization Fellowship specializes in is the Kriya yoga. It is a highly beneficial form of yoga. To learn the Kriya yoga one has to learn the Self Realization Fellowship lessons. These steps ensure that you find the God within yourself and use this realization to improve your life. 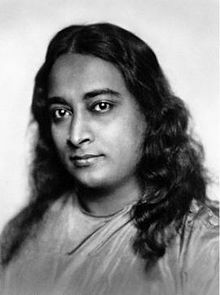 Yogananda Paramhansa had proved how this technique was used by Jesus Christ too. He clearly states that all religion paths lead to the same goal and that is peace and God. It was his thoughts that attracted so many people from different religious and cultural backgrounds to him. The Kriya yoga is still taught in the principles of Guru and Shishya format. Though in the modern world, the ancient concept of Guru shishya does not work and even if you want to learn the Kriya yoga you are not supposed to reside in the Ashrama or anything. You will be taught this technique by a member of SRF and you have to follow the instructions and practice daily in continuity. Only then will you be able to master the art and science of Kriya yoga. This yoga is very powerful and takes you to closer to the divine powers. We cannot divulge more of this spiritual technique since its actual details are only revealed to the one initiated in this science, and not publicly. Apart from Kriya yoga there are many programs that you can enrol for in the Self Realization Fellowship. Yogananda Paramhansa had written many books. Some of them you will easily find in the book stores. You can also buy them online to know more about the benefits of yoga and meditation. The Self Realization Fellowship regularly publishes magazines and journals. You can refer to them in order to learn more. The Self Realization Fellowship has an official website where all the details about the group and its upcoming programs are given. You can definitely benefit from this information. The various other programs that you can join in at the Self Realization Fellowship are Sunday services. There are special lecture tours that are arranged by the Self Realization Fellowship. You can participate in these programs to learn more. There is no age for the participation. Even young children can be a part of these. Self Realization Fellowship says that the earlier you start meditation the faster you will be able to master it. It will also help you to live a better and spiritual life from a very early age. The schedule of the Sunday services is put on the website. As per your convenience you can attend the same. Some of these classes are arranged for children alone. Children between the ages of three to twelve are made to attend these programs. The programs are designed in such a way that the children benefit from the same too. World convocations are also arranged by the Self Realization Fellowship. These are very popular and participants from all across the world are invited to these programs. It is a week long program. In the year 2013 it will be held from the 4th August to the 10th August. The participant will meet in Los Angeles. The reservation for the hotels has already started. The participation is given on the basis of first come first served. This is held once a year. There is a discussion on the teachings of Yogananda Paramhansa. The topics that are covered are how to live classes, Kriya yoga, and group meditation is planned. There is a special session of kirtan where the participants can join in. Even the non members of Self Realization Fellowship can enjoy these programs and benefit from the same. This attracts a lot of crowd every year. In case you want to participate you can look for registering soon. The Self Realization Fellowship arranges for a lot of youth and teen programs. This is to ensure that the children learn and appreciate the power of yoga from a young age. Special classes are arranged on Sundays. Even summer camps are arranged so that the children can learn meditation without disturbing their studies. A lot of students join in these courses. Parents encourage their kids to learn these techniques. They say that the children benefit a lot from these sessions. The Self Realization Fellowship also arranges for weekend retreats. If you want to participate in the same you can apply and get a reservation for yourself. Accommodation is provided on first come basis. If you want to support the causes of Self Realization Fellowship then you can donate to the organisation. A lot of donations are also made online. Self Realization Fellowship has made great contribution to the world and humanity. They should continue their noble cause. The Self Realization Fellowship also involves in a lot of charity work. The donations given are used for this purpose too. You can also help indirectly by spreading the knowledge of these techniques so that more people can benefit from it. We hope that you found this article on Self Realization Fellowship informative. If you want to join the organisation that you can do so as it will change the way you look at life forever. We would recommend this and would want more and more devotees to join in this noble cause. If you want to learn meditation and lead a spiritual life then this can be a great way to start the same.